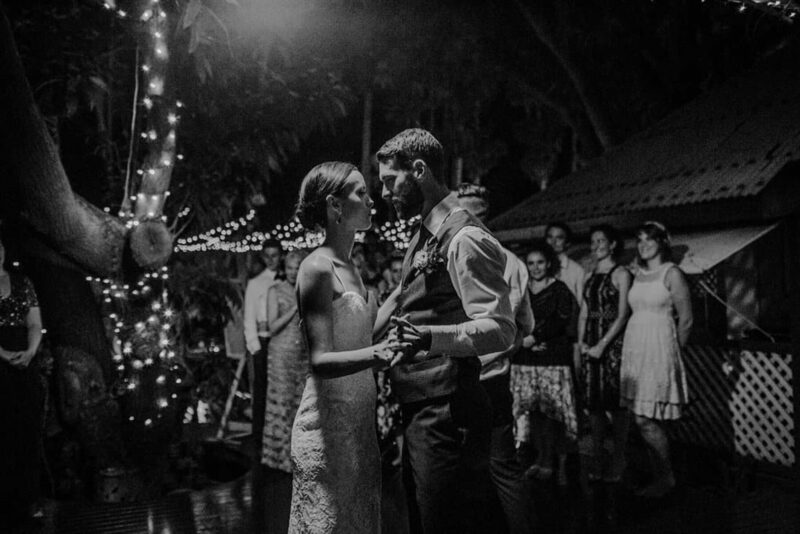 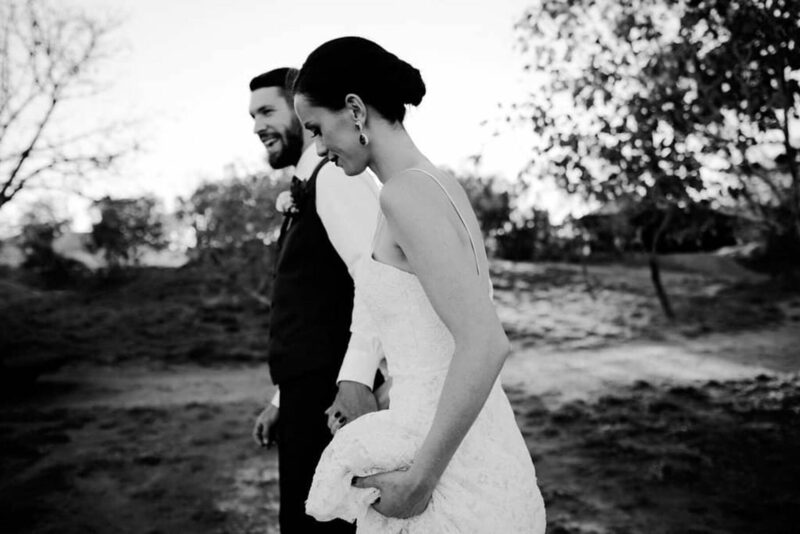 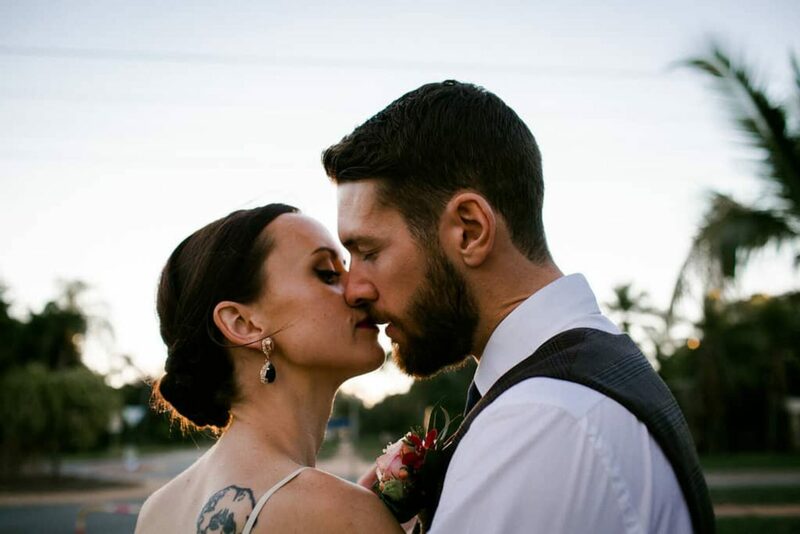 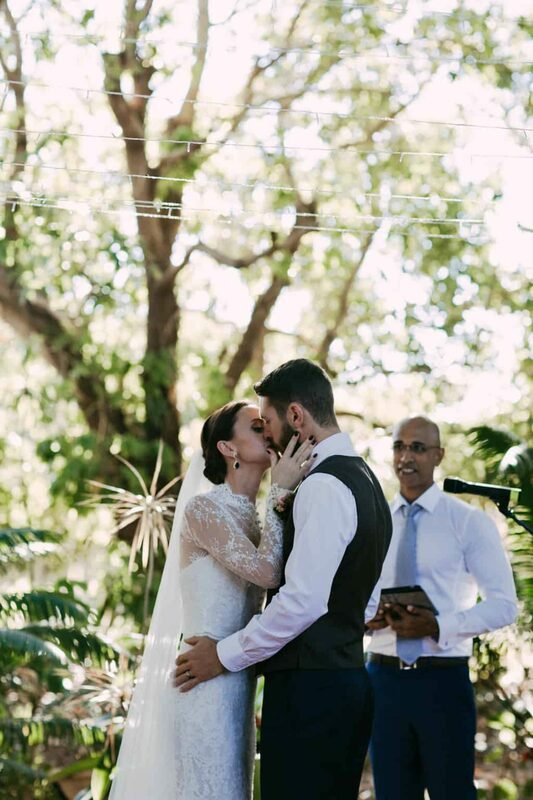 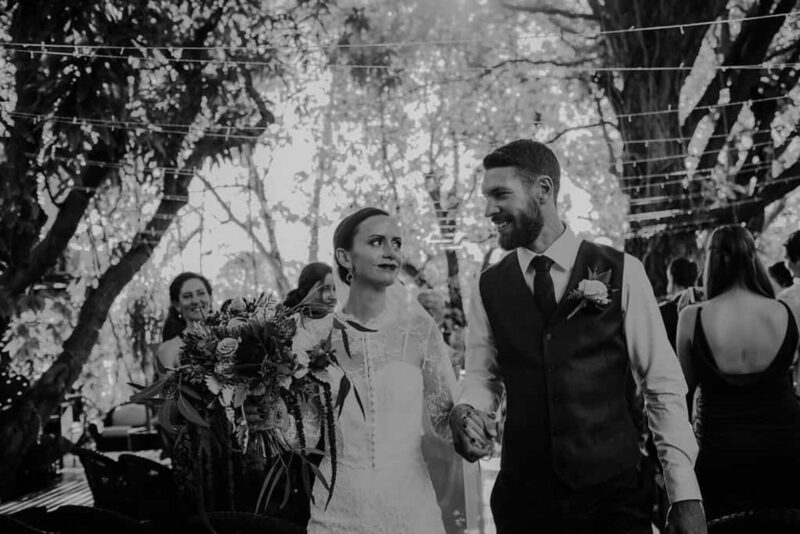 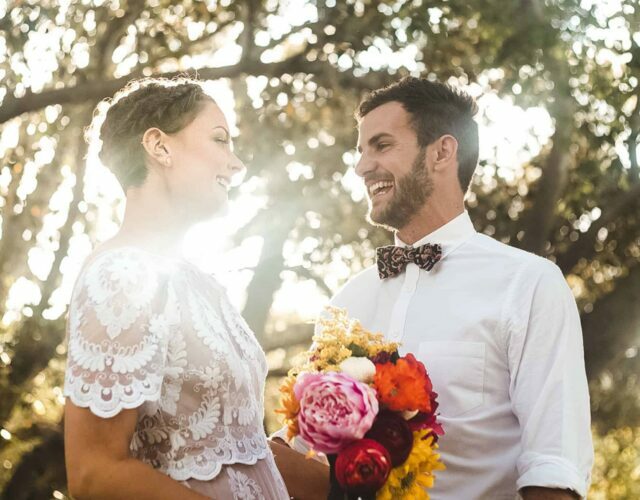 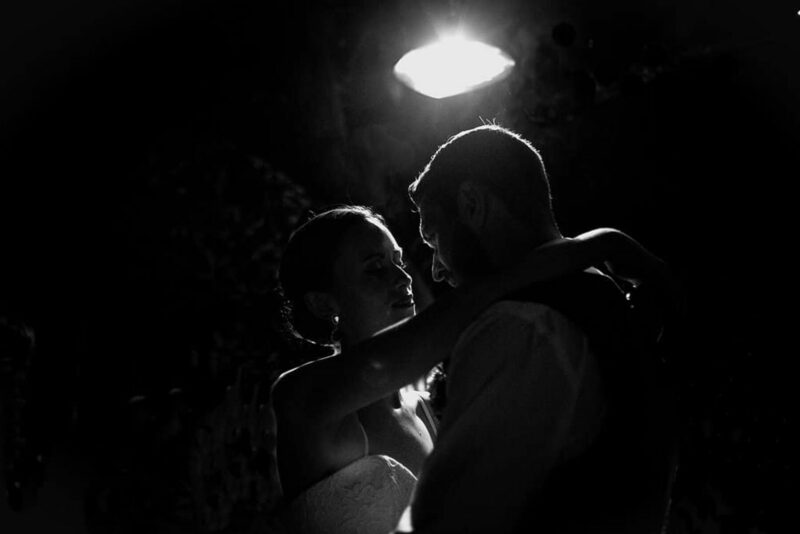 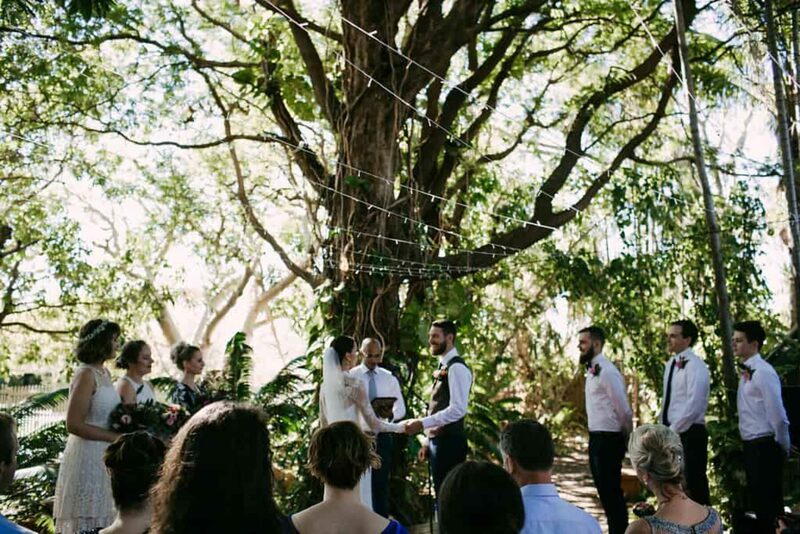 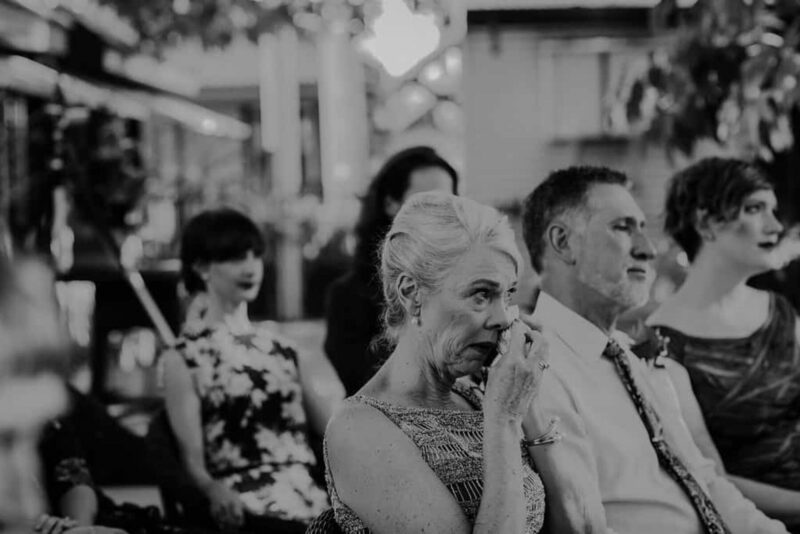 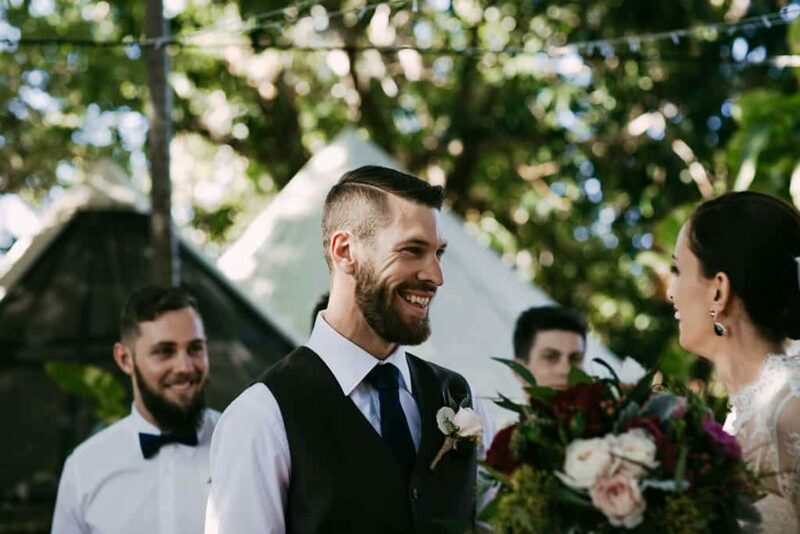 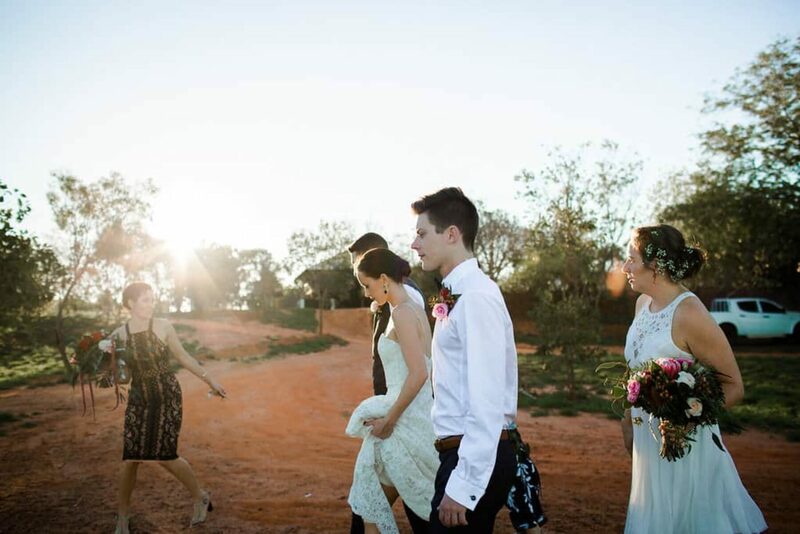 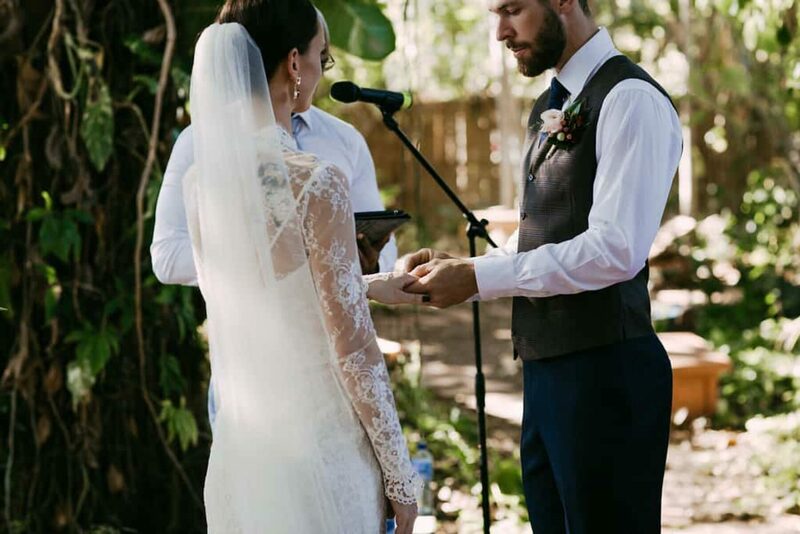 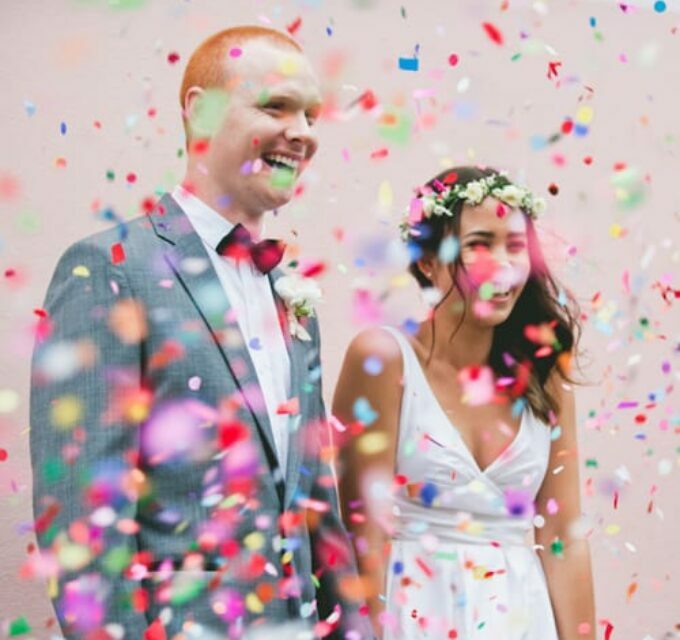 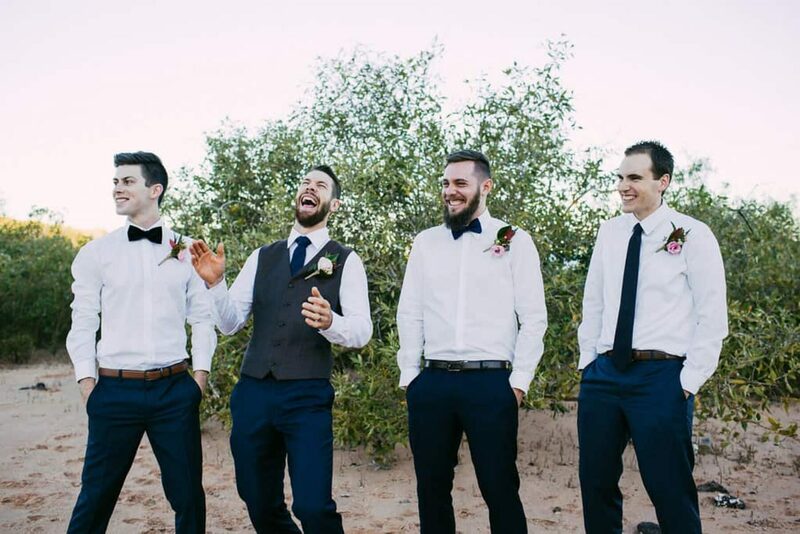 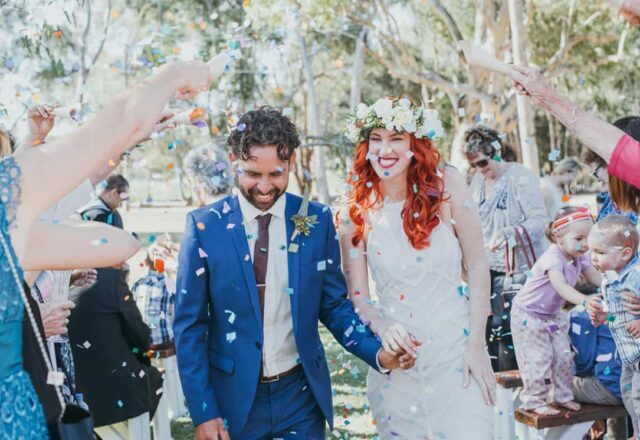 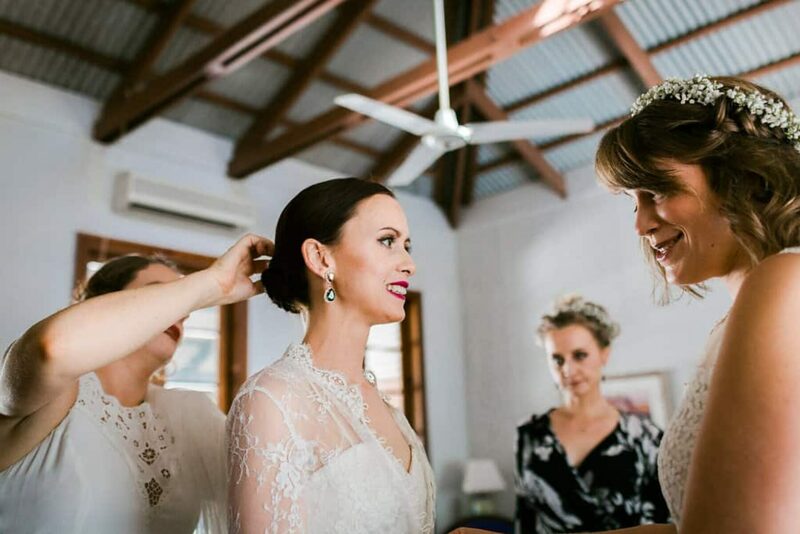 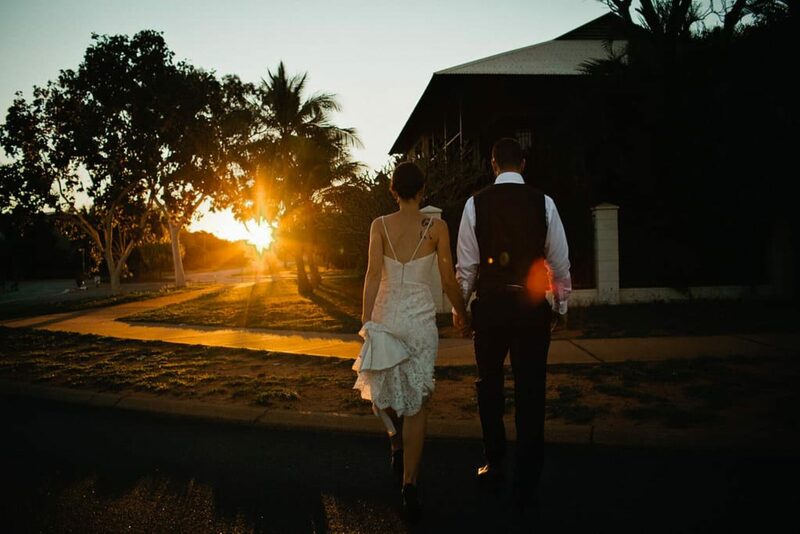 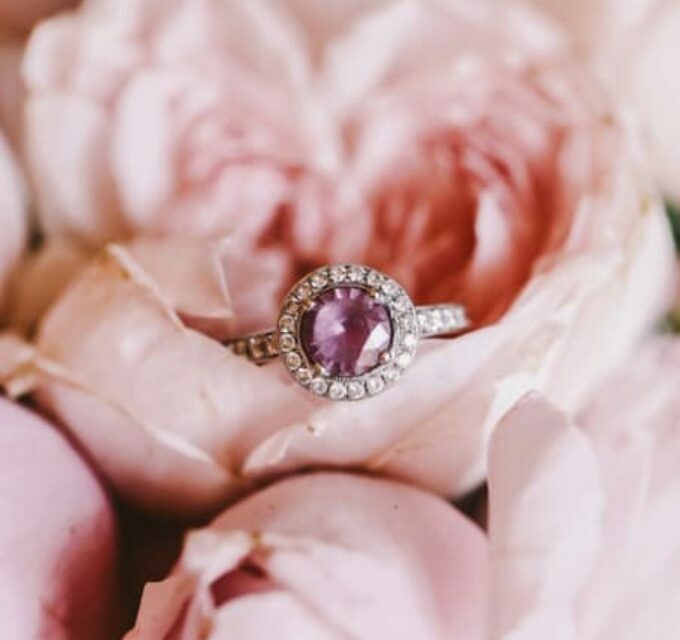 A beach wedding in Broome might have been the obvious choice, but this couple opted to forego the coastal feel for a Victorian-era villa, set amid lush tropical gardens. 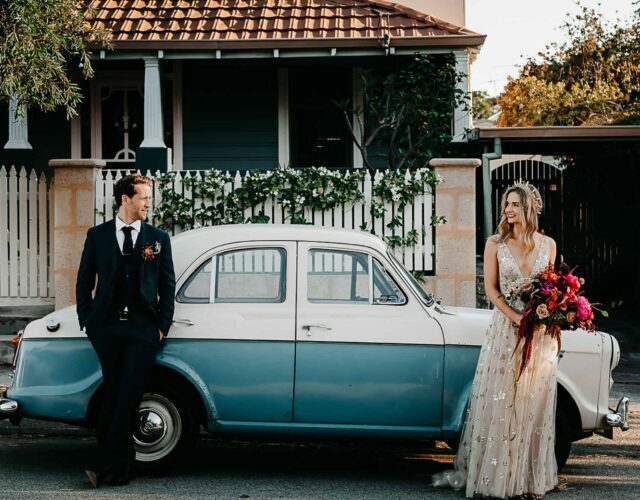 Emma and Jeremy tied the knot at Pinctada McAlpine House and Michelle Troop of Folklore Weddings came along to capture their vintage affair. 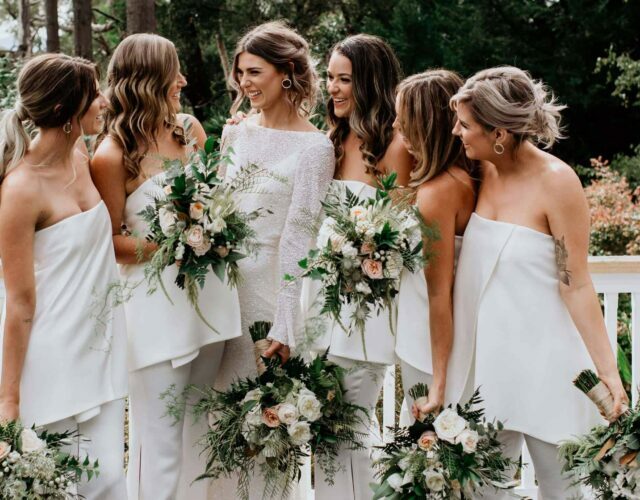 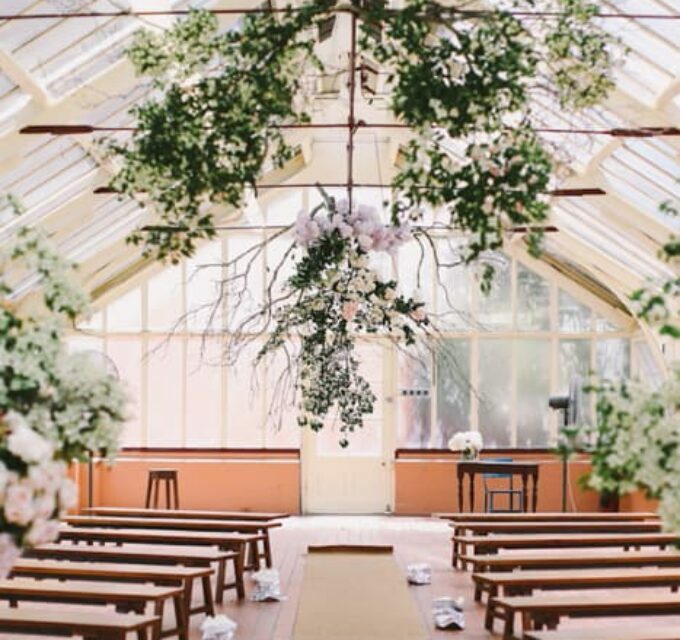 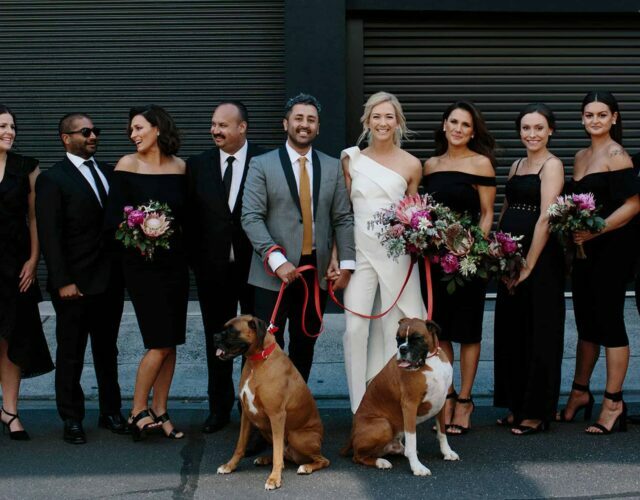 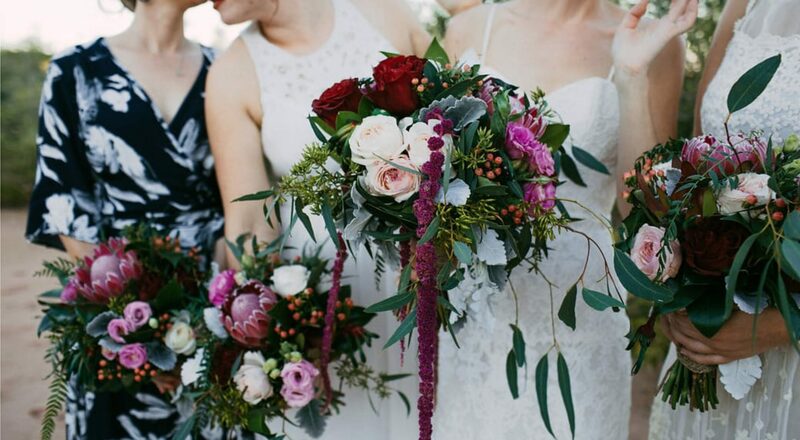 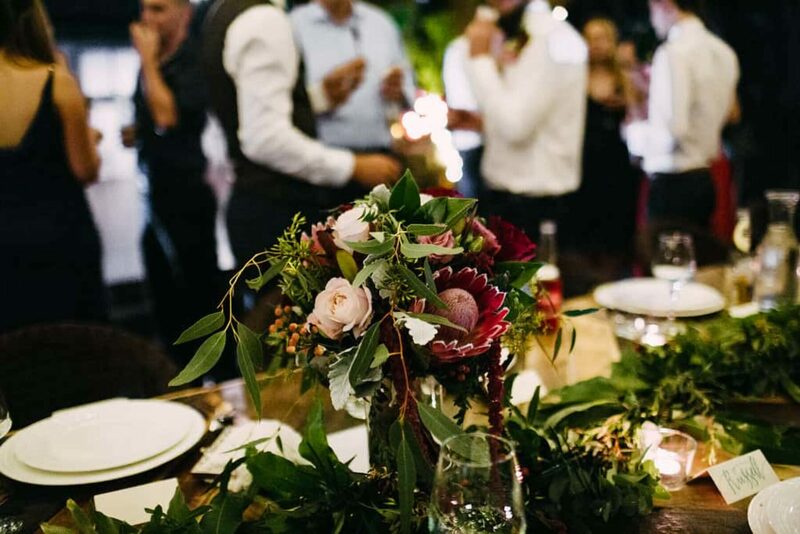 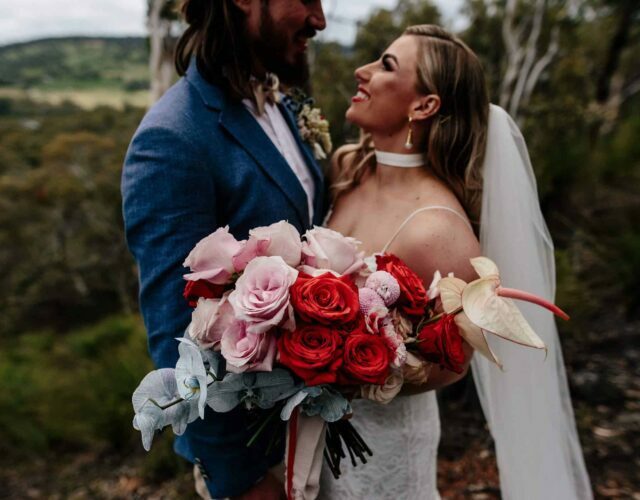 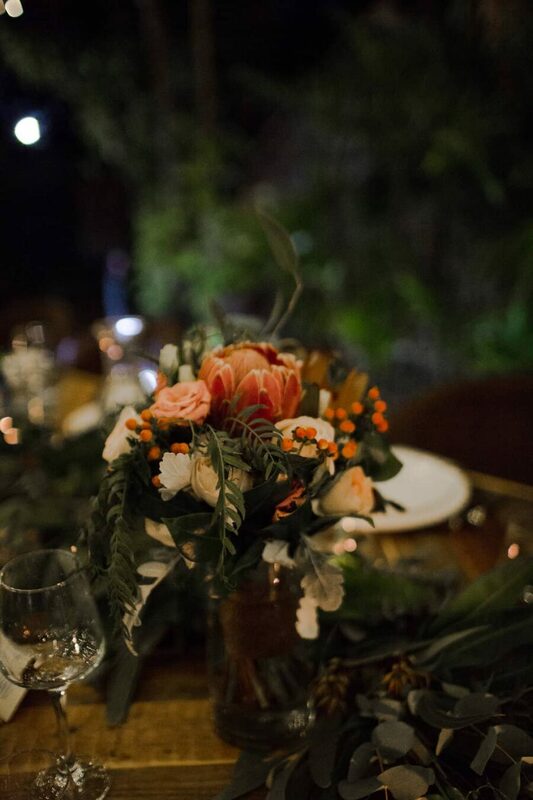 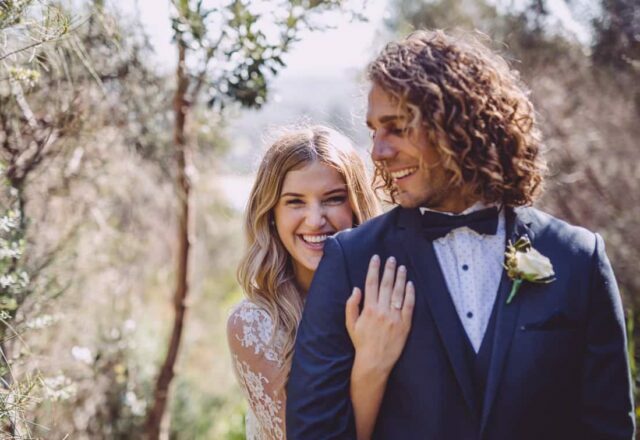 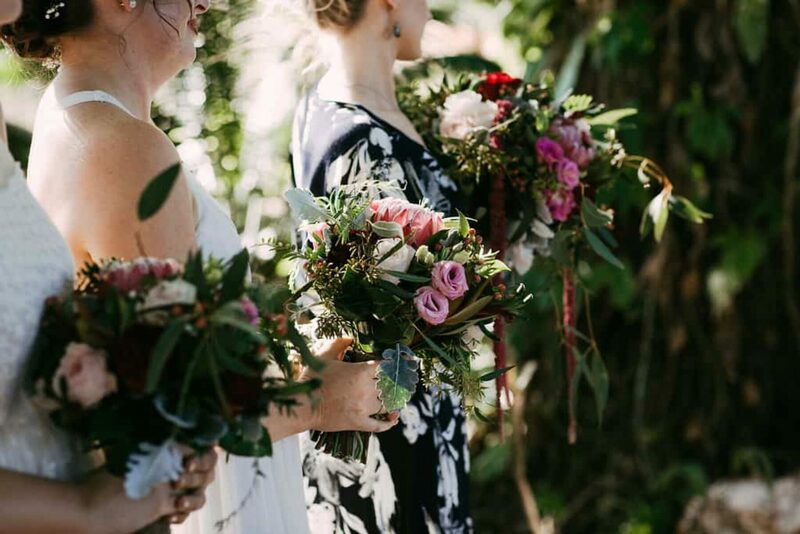 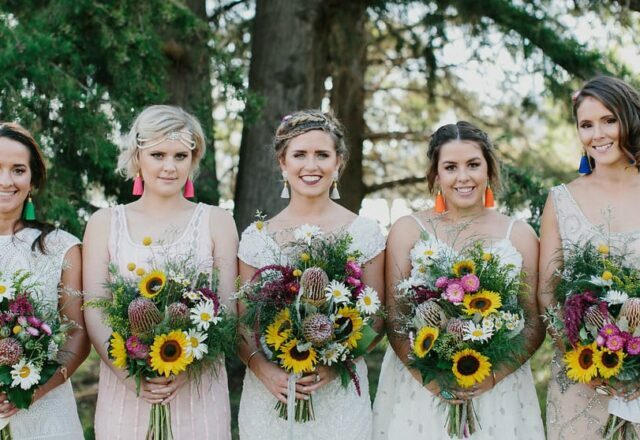 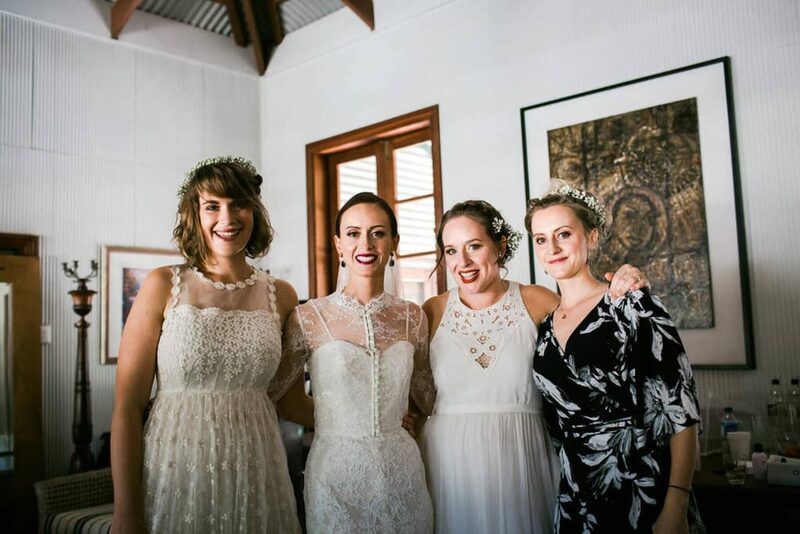 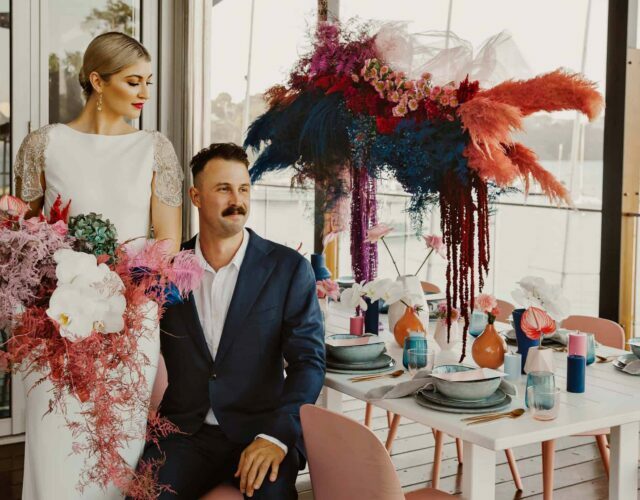 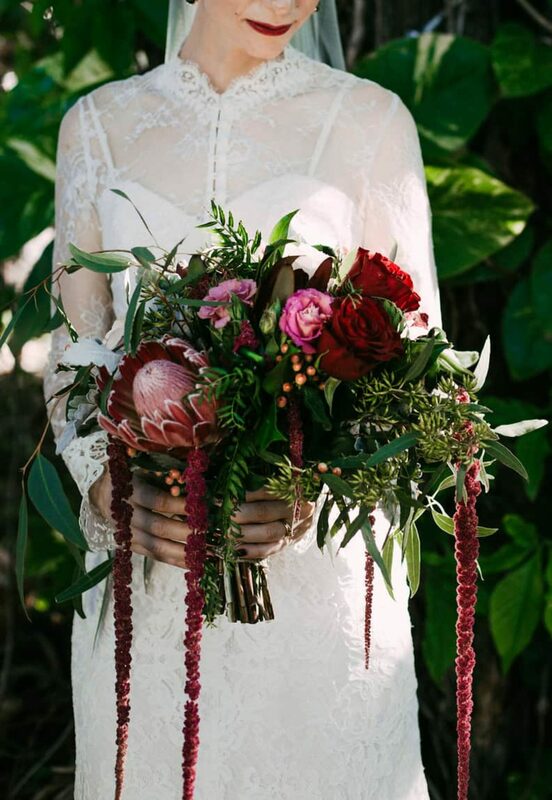 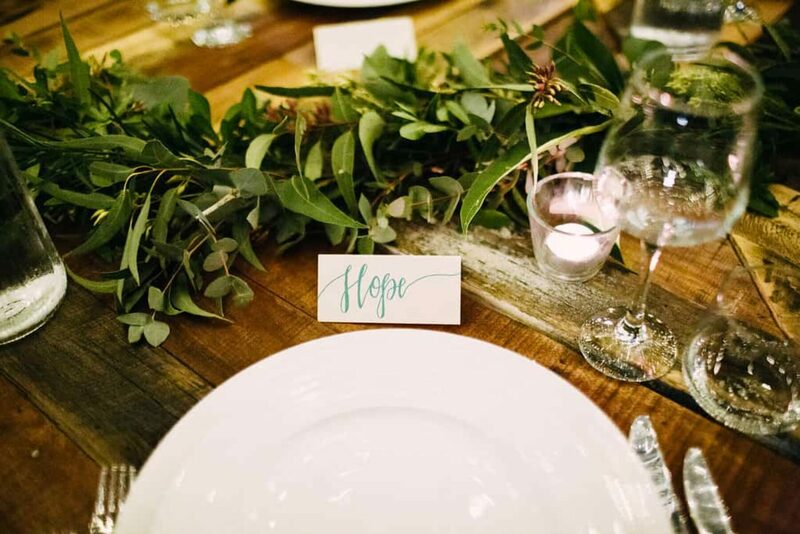 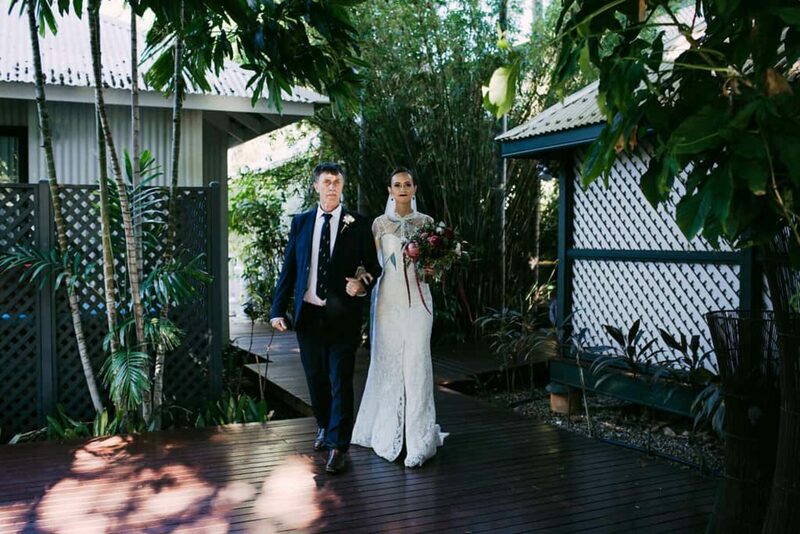 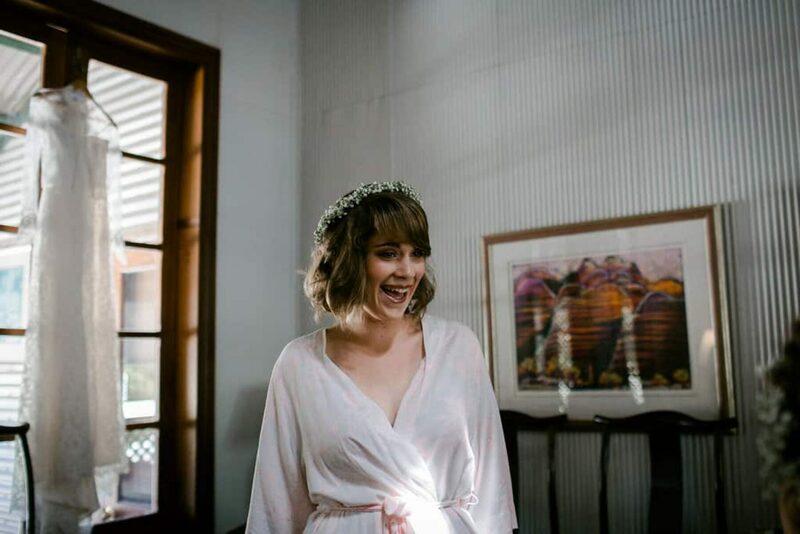 Already full of character, the historic McAlpine House needed little decoration and when paired with Emma’s Grace Kelly inspired Jennifer Gifford gown, there was a definite old world vibe with a rustic Australiana feel thanks to gorg native blooms by Broome Florists and Flowers on Saville. 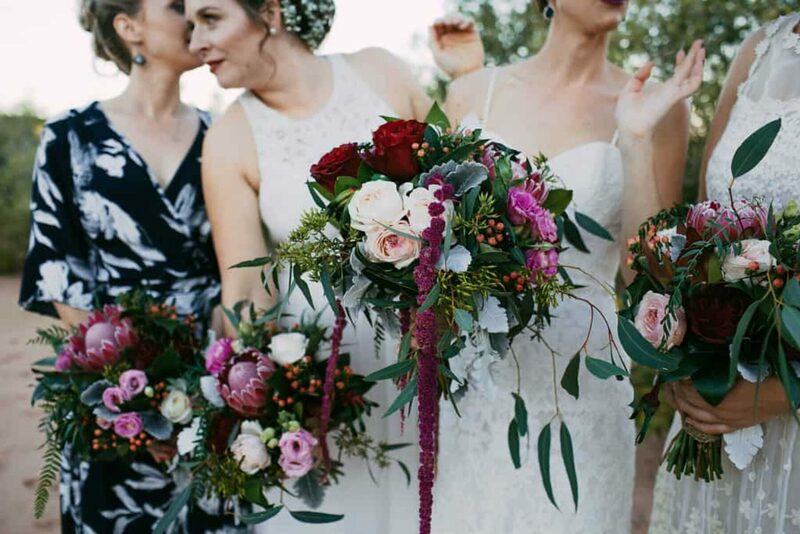 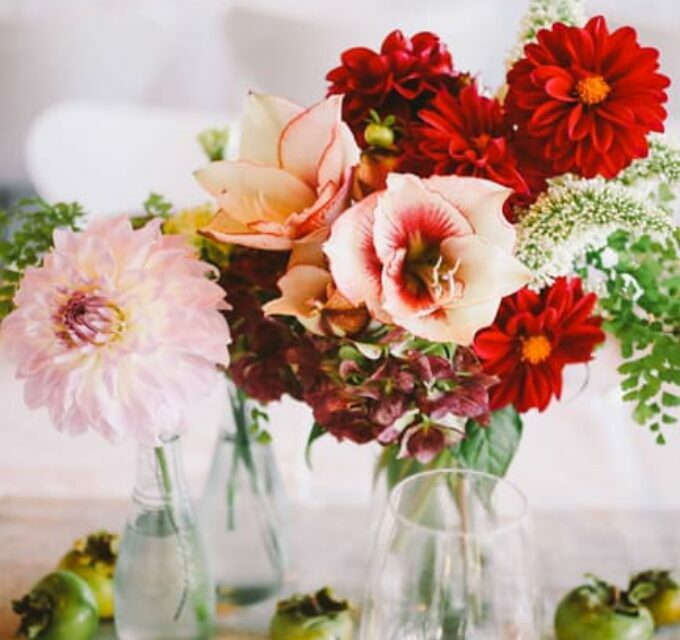 Think red David Austins, pale pink lisianthus, protea, kangaroo paw, amaranthus, hypericum berries and plenty of eucalyptus. 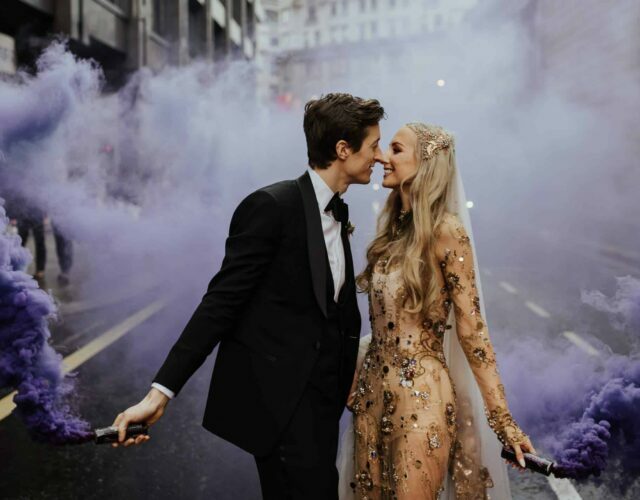 Emma admits to being inspired by Grace Kelly’s wedding gown and there is no doubt she channeled the Princess of Monaco on her own big day. 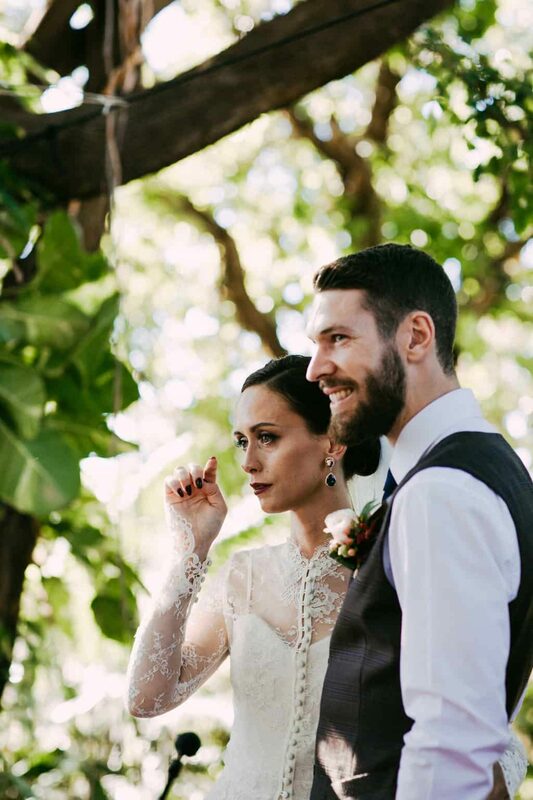 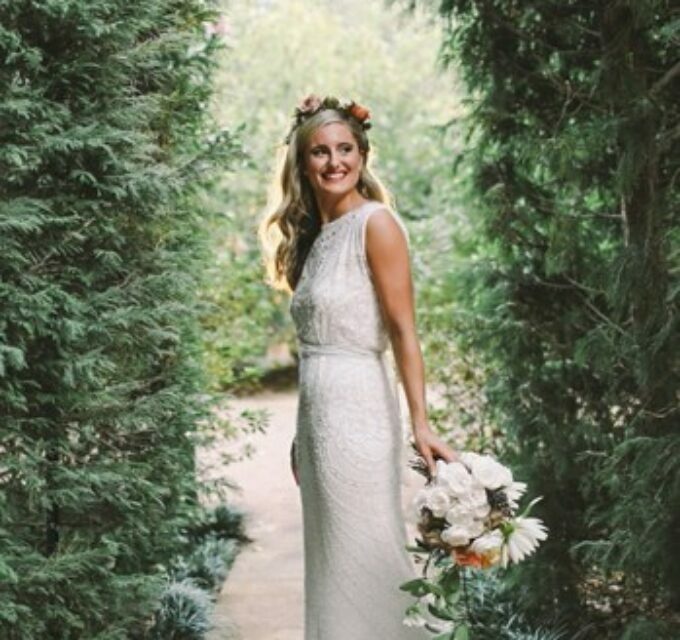 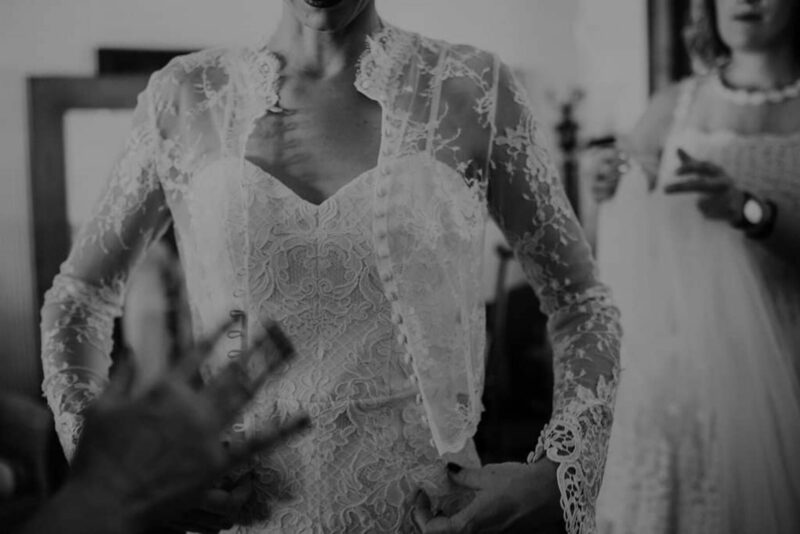 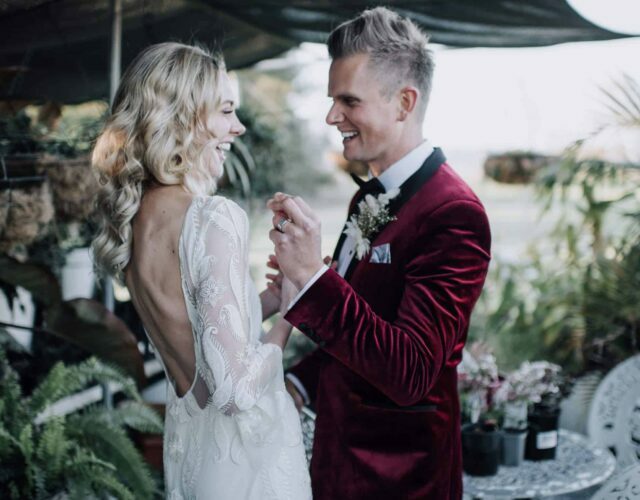 Jennifer Gifford designed her dress and Emma found her high-necked lace bolero on Israeli Etsy store, Angelikas Boutique, creating a classic vintage look we love. 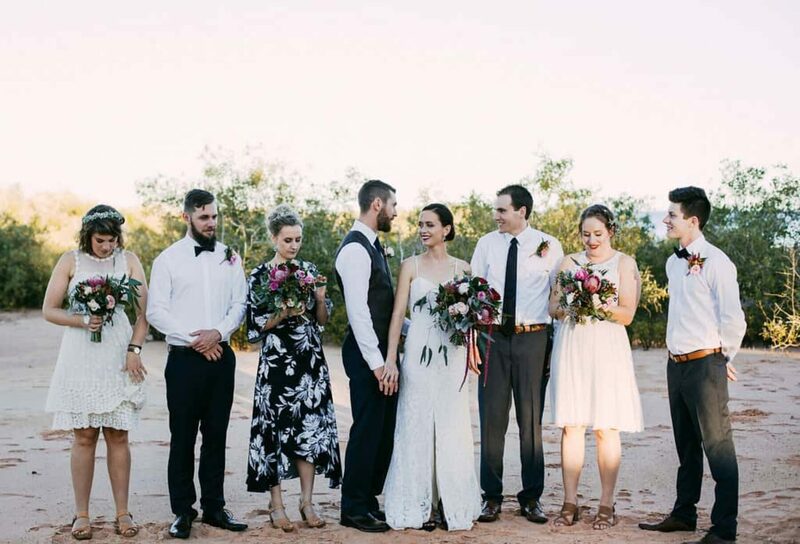 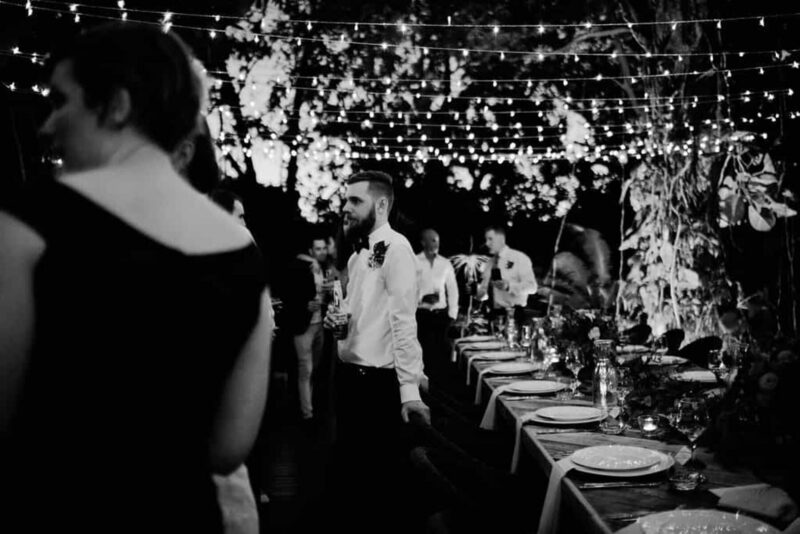 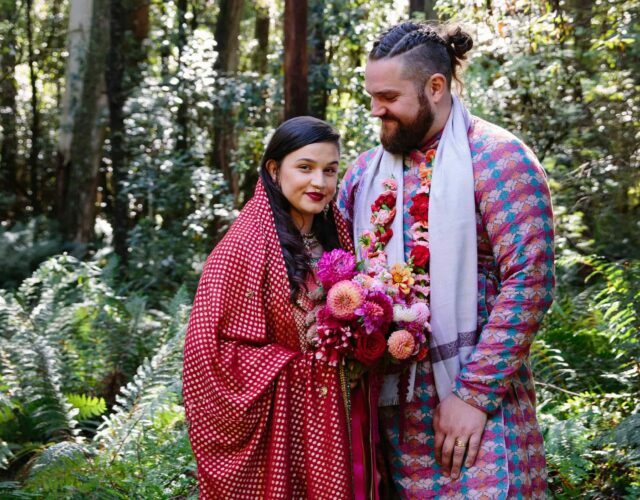 According to Jeremy, his wedding style can be described as as ‘toned down Australian Stockman’. 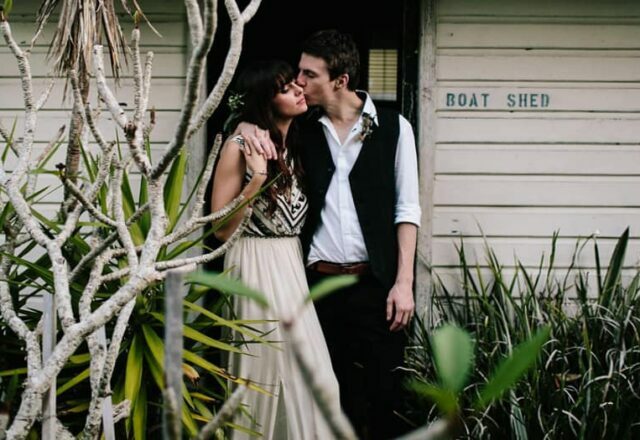 He donned a custom-made chocolate brown Wil Valor vest, an MJ Bale shirt and R.M. 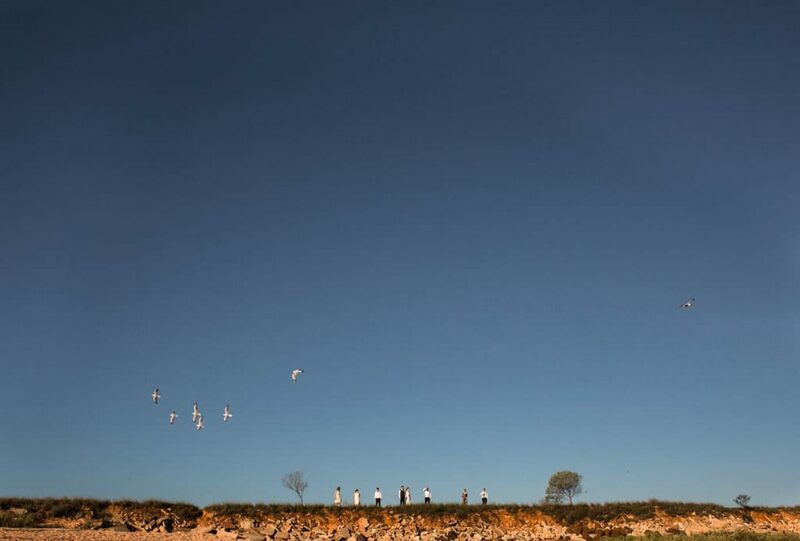 Williams boots. 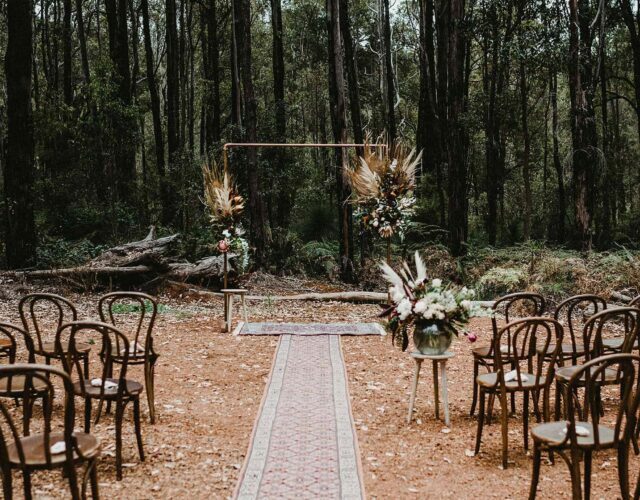 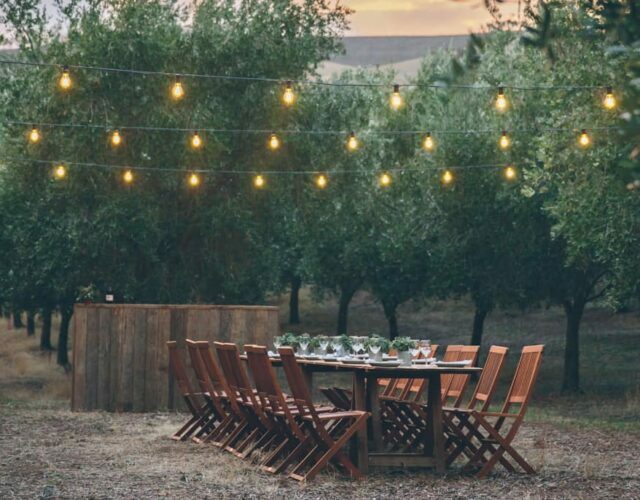 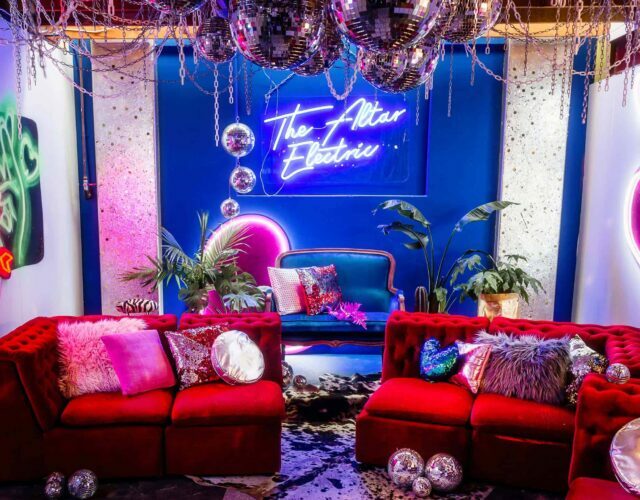 Jeremy is responsible for the rustic deconstructed pallet tables and we have to admire his 10 metres worth of handiwork - sounds like their venue sure did! 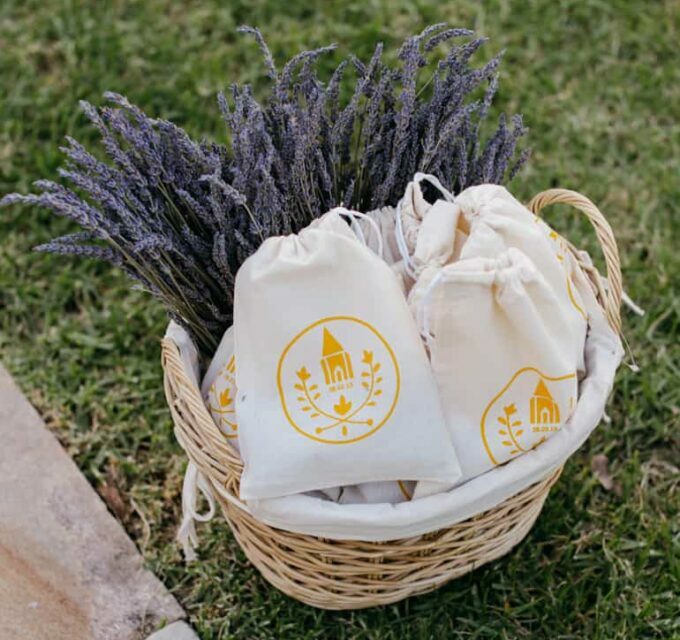 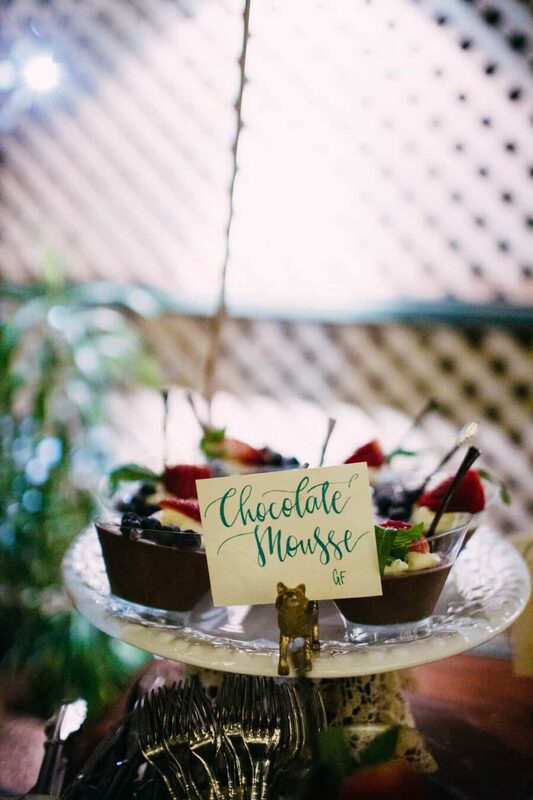 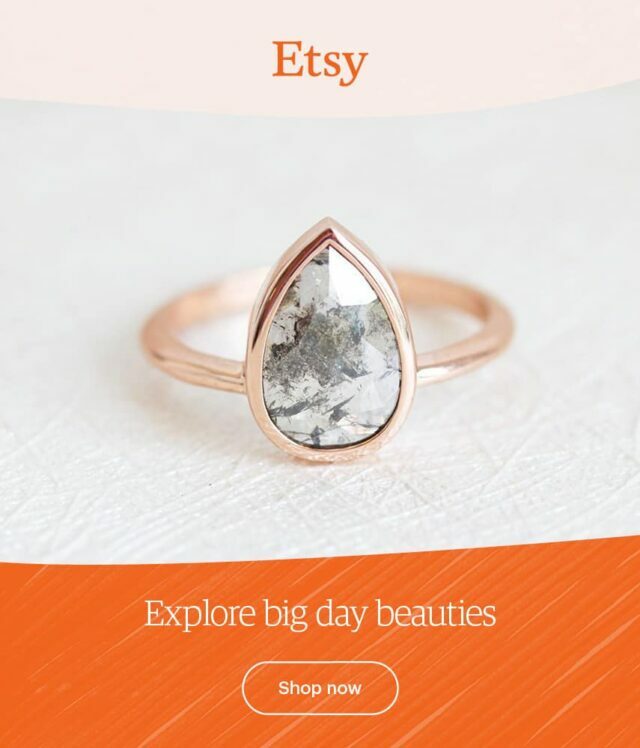 “We actually sold them to McAlpine house after the wedding as they loved them so much.” Emma designed the golden animal placeholders for the desserts table and don’t forget the desserts themselves, made lovingly by friends and fam! 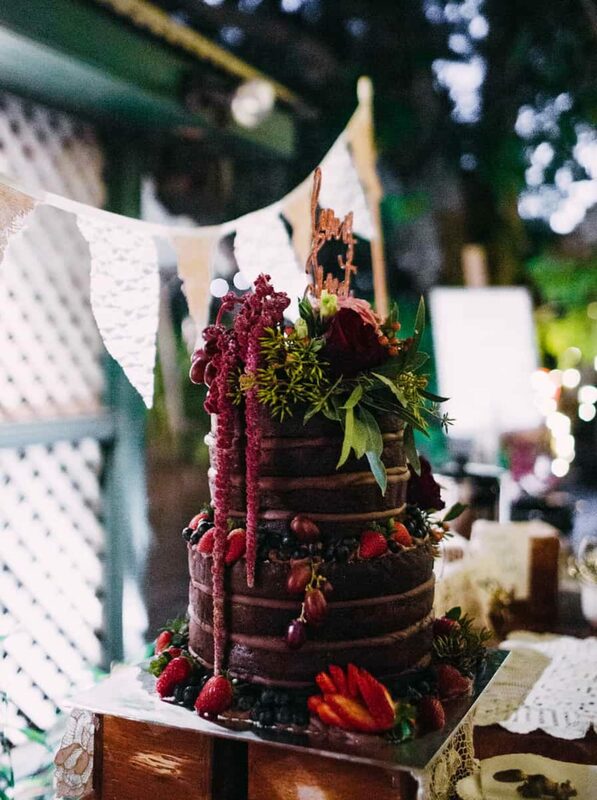 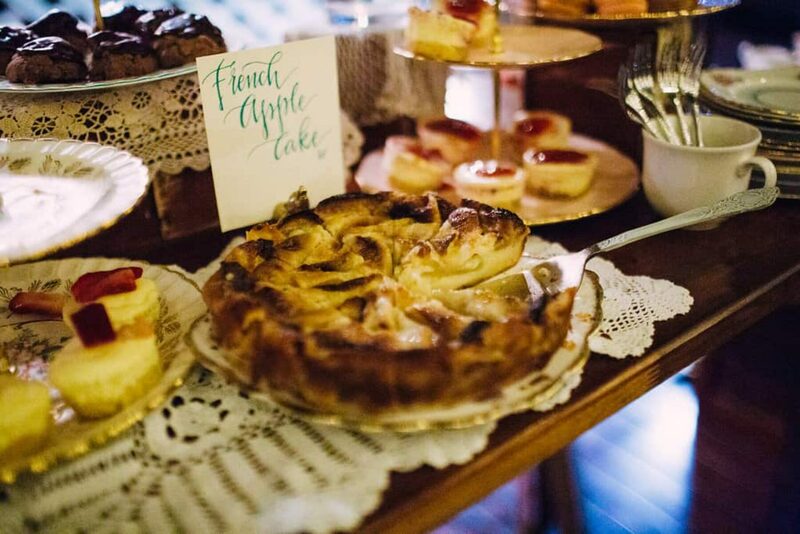 “We had our friends and family bake and create their favorite desserts for our vintage inspired dessert table.” Emma tells us, and by the look of those sweet treats, we’d be in homemade heaven!